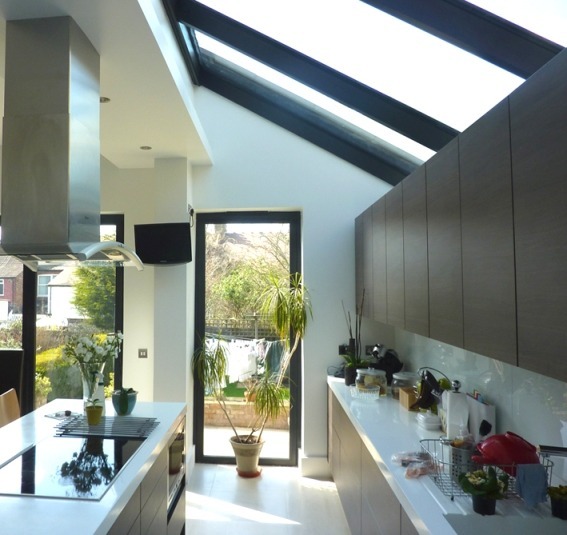 Want to get more light into your kitchen? Read how, with the help of Clearview. It is easy to see why the kitchen is known as the heart of the home. It’s not only used to cook, but also a place to socialise, spend time with family and to relax. Of course, everyone’s kitchen layout is different, but it is more often than not the most used room in the home. Because of this, it is essential that the environment in the kitchen is just right. One of the main factors which determines this is light. 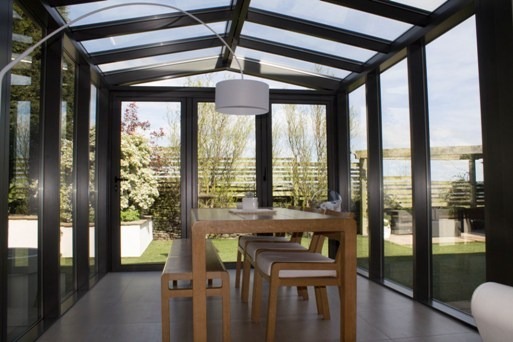 Natural light is not only crucial for mood and wellbeing, making you feel much happier and more positive, it can also dramatically affect the aesthetics of a room. After all, who wants to spend time in a dark, dingy room? One of the simplest ways the kitchen, or any room, can be brightened is by painting the walls and ceilings light, neutral colours. This will allow light to reflect and create a much brighter space, as well as giving the illusion of a bigger, more open room. Neutral tones such as whites and creams are a popular choice. They also provide a blank canvas, giving you creative freedom to accessorise the room however you wish. Kitchen cabinet doors, worktops and surfaces can immediately make a difference if they are finished in lighter colours. Avoid dark furniture and heavy curtain fabrics as these will absorb and block the flow of natural light. Having reflective surfaces or using well-placed mirrors can dramatically brighten up a kitchen. Mirrors come in all styles, shapes and sizes so finding one to suit your décor shouldn’t be difficult. 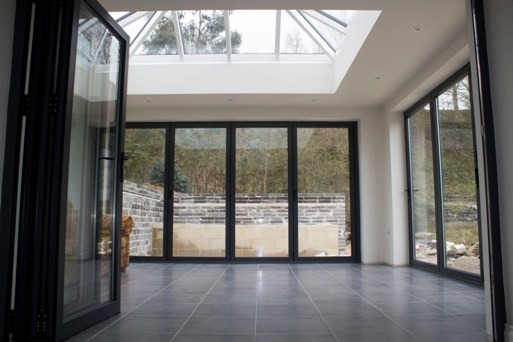 By placing a mirror in the correct area of your kitchen, natural light will be maximised, immediately brightening up the area. This is just a few ways that light can be manipulated to create a brighter kitchen area. However, they illustrate that no matter what style of property you own, there are always options for improving the brightness and appearance of your home to create a happier environment. 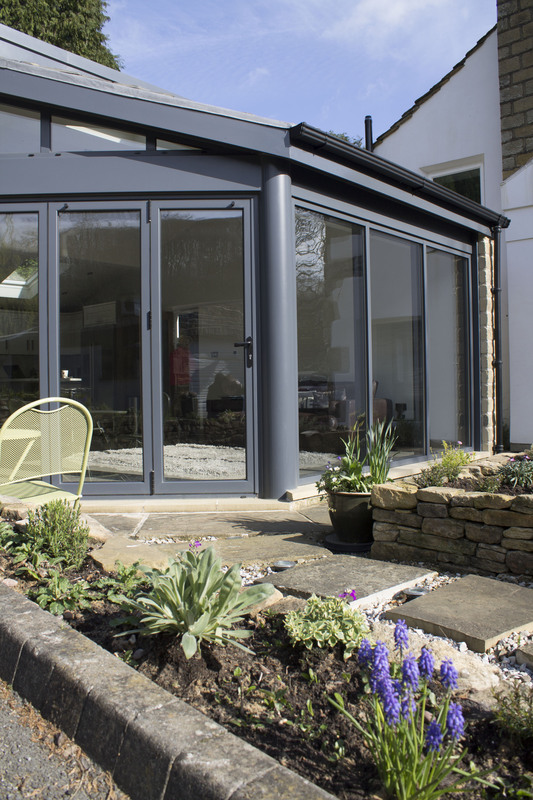 Clearview have been supplying bi-folding and sliding doors to homes in the Yorkshire area for over 10 years. Our in-house manufacturing ensures that the doors and windows we build are amongst the finest available across the UK. To find out more, please do not hesitate to call us on 0800 1357167.